Imagine you go to a job search networking meeting for the first time, and the leader at one point informs the audience that everybody will have a chance to stand in front of the group and present an elevator pitch. I vividly remember such a scenario more than 10 years ago at a meeting with close to a hundred people in the audience. It was at a time when I was in transition, and my spirits and self-confidence were at all-time lows. So, for the survival of what little was left of my ego, my psychological response to such an unexpected event that I was obviously not prepared for was to protect myself from a perceived potentially harmful experience. I instantly looked for the red exit sign above the door at the back of the room and vacated immediately. Ever since, though, I remain embarrassed about it and now recall the incident with humor. Since then, I’ve of course had countless occasions to recite my elevator pitch with pride and confidence regardless of audience size or type. Well, there’s no such a thing as an elevator pitch for all occasions. The elevator pitch should be a sound bite or a statement made in front of an audience, and its purpose is to elicit further inquiry. 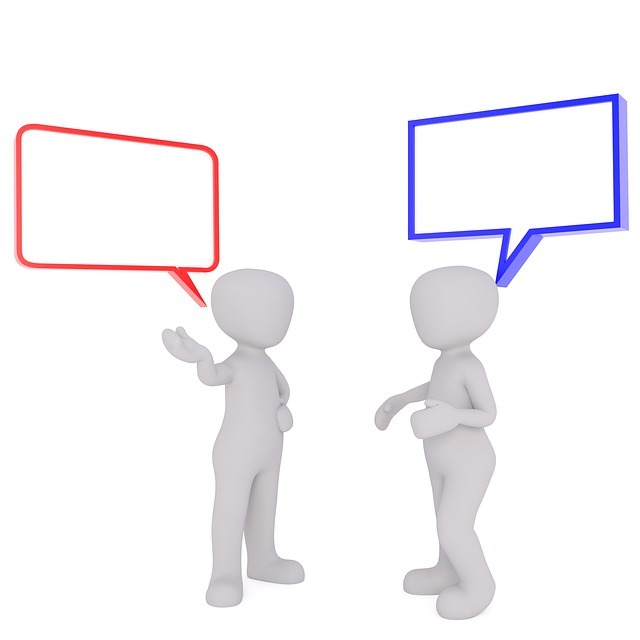 The opportunity that arises after a good elevator pitch is to develop a dialogue with someone, and hopefully, the discussion will lead to a mutually beneficial relationship. The elevator pitch should not be a self-praising monologue, which typically is boring, non-memorable, and imitative of everyone else’s. It is most important that the elevator pitch fit the occasion. An elevator pitch out of context can be embarrassing, to say the least. At a recent dinner party, I sat next to a man I was not acquainted with. After a bit of easy talk, I asked him, “So, what do you do?” He replied that he’s a programmer in a small telecommunications company. At that point, I could have either dropped the subject or asked further questions. I did the latter, and so this turned out to be a pleasant encounter for both of us. The question is, how many elevator pitches should a job seeker have at the ready? Although no elevator pitch should be a memorized text that sounds like a rehearsed radio commercial, it’s reasonable to think in terms of three potential kinds. The first – one should be a short recitation about 15 seconds long. All of your elevator pitches to an audience versus a single individual should start with your name at the beginning and end with your name again at the end. Also be sure you’re being heard loud and clear. Next, because one of the dangers is that the audience by now may be bored because everyone’s sounding like everyone else who preceded them, you should insert something different—something maybe surprising. One of my clients used to say, “I’m known to have saved a woman’s life.” That statement certainly drew everyone’s attention and begged for follow-up at the end of the meeting. And that’s precisely what that speaker’s objective and purpose were. It’s best to briefly say something about what you do, to mention the kinds of people you help, and to list the benefits that result from what you offer. Please don’t say I’m an IT professional. What, the others are less than professional? Don’t say I’m an HR business partner—as if other team members are not business partners. And don’t say I am passionate about. Nobody cares about that except you, and your self-assessment simply won’t serve to prompt anyone to approach you after the meeting for a conversation. The second – type of elevator pitch to a group should be about 30 seconds long. Here again, besides of course saying your name at the beginning and end, you can talk about what you do, possibly mention your title if appropriate, and include something unusual or provoking so that someone will want to seek you out later. You can mention what you wish to continue doing professionally, the geographic area you want to work in, and even up to three target companies you’d like to work at. Perhaps someone in the audience has connections and would be willing to make an intro. The third – type of elevator pitch could be a few minutes long. It should be tailored for individuals and not for a group of people. Here again, the objective is to continue the dialogue and potentially find someone to have a longer conversation with later, with the purpose of mutual benefit. Once a conversation is progressing and there’s common ground and interest, both parties could probably think of others who could be of help. And again, that’s the whole purpose of keeping the relationship growing: mutual interest. Besides the content of your elevator pitch, the audience will hopefully be impressed with your delivery via your voice. If your voice reminds the audience of the tone they hear from their GPSs, you’ll certainly be remembered—but not in a positive way! Use your voice appropriately. Speak with clarity. Make sure you enunciate well. And project enthusiasm by modulating your voice, as opposed to sounding monotone. The pace should be at a rate that enables large audiences to understand what you’re saying. Many people, when they get excited, start speaking faster than normal, which detracts from the clarity of the message. People with foreign accents should not feel embarrassed. There’s not much they can do about it, and in fact, an accent could sound attractive, different, memorable, and, possibly, charming. Do you remember a movie actor’s every line? Probably not, but I bet you could get plenty verbose when it comes to describing the scene or the background to the plot. That’s how the human brain works: we remember several-fold what we see versus what we hear. Therefore, your appearance is much more important than the content of your elevator pitch. Look at the audience, but don’t swivel your head like a panning security camera—which is our usual tendency in such situations. Stand erect and without shifting weight from one leg to the other. Don’t cross your ankles. Find your balance. It is acceptable to use your arms but not in an exaggerated or melodramatic way. If your arm and hand movements complement and support your statements, then by all means use them. And above all, smile. Smile a lot, because all over the world and in all cultures, a smile universally means the same thing. It conveys positivity and well-being in the presence of others. The creation of an effective elevator pitch is challenging. It takes a lot of repetitions and several iterations before it will generate the intended results. Don’t attempt memorizing the lines; only experienced actors can succeed with that. Memorize only the key topics you want to convey. Once you know your basic material and start to feel comfortable, the words will flow smoothly. And remember that practice always makes perfect.